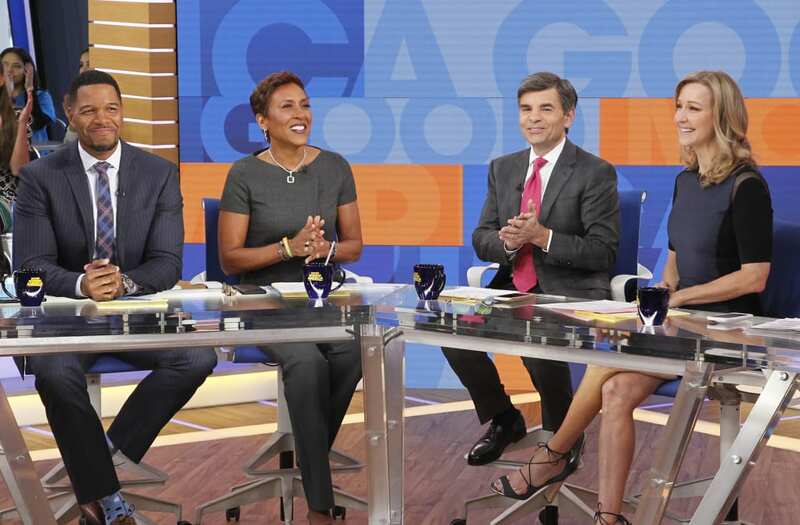 There may be some bad blood between the "Good Morning America" anchors. According to Page Six, Michael Strahan's presence on the show has created some behind-the-scenes tension as his fellow anchors feel that he's been given special treatment. "They roll out the carpet for him while seasoned talent is treated like dirt," a source told Page Six. "He's been given a lot of opportunity, flexibility, when the others who have been working there longer don't get that kind of treatment." The source's comments alluded to Strahan's side gigs as host of "$100,000 Pyramid" and analyst on "Fox NFL Sunday." It's not just preferential treatment that has reportedly resulted in growing ill-will toward Strahan, either. The source continued to explain that Lara Spencer feels as though her role has specifically changed ever since Strahan joined the show officially last year. She "feels like her role has been minimized with Strahan. There's not a lot of love between the two. They know how to put it on for the cameras, but he's doing a lot of what Lara should be doing [on the show] and she's not happy. She's the pop person." Despite the rumors, an ABC executive told the site that the claims are total "bullsh-t."
"They get along great," he said. "She loves having someone with his sense of humor on the show. Michael is lovely with the staff . . . And as for Lara, she has far more airtime in the 8 a.m. hour and is loving the studio audience."